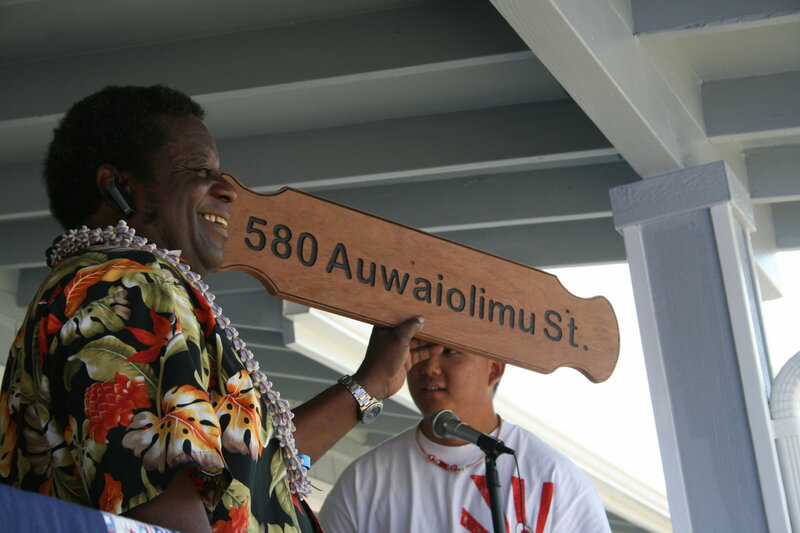 Wallace Naone-Bailey holds up a gift made from the wood of his old house during the blessing of his ʻohana's new home in Papakōlea this weekend. 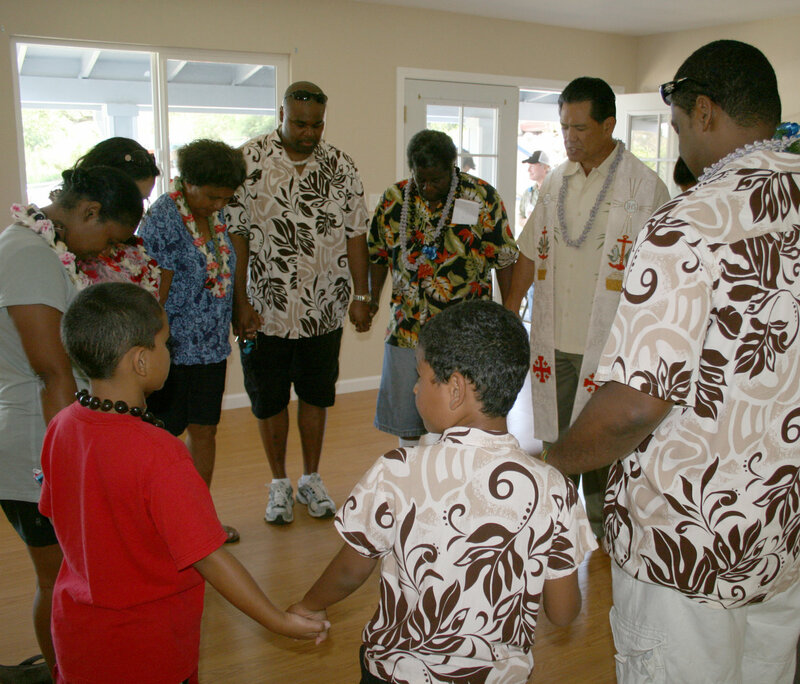 PAPAKŌLEA, OʻAHU – Papakōlea homesteaders Frances and Wallace Naone-Bailey can rest assured that their brand-new house will be a place their kids and grandkids always call home. 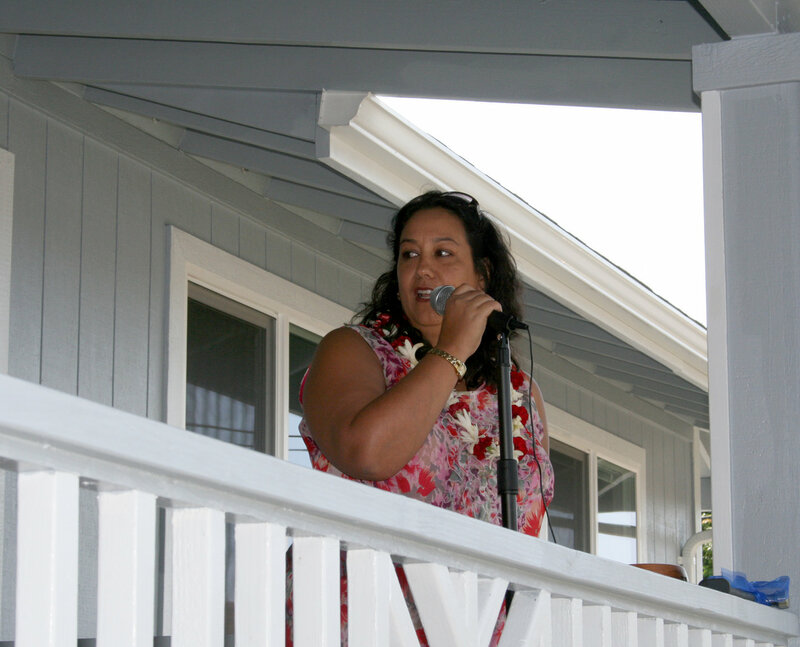 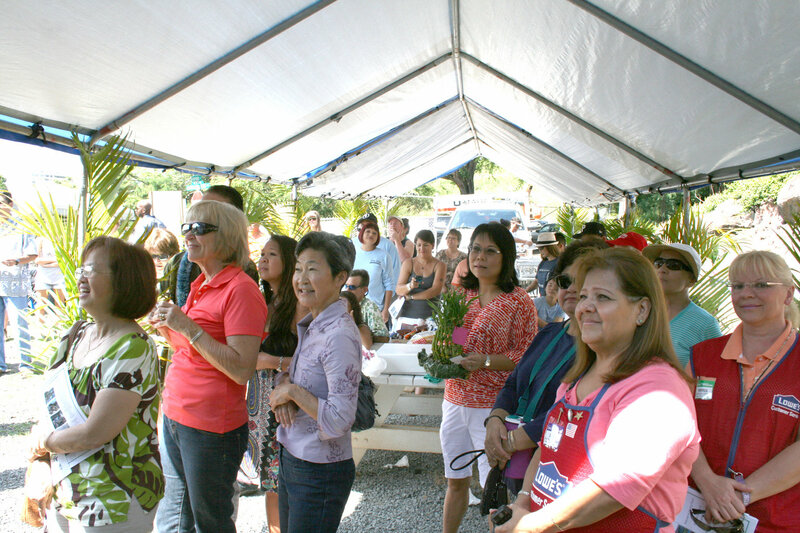 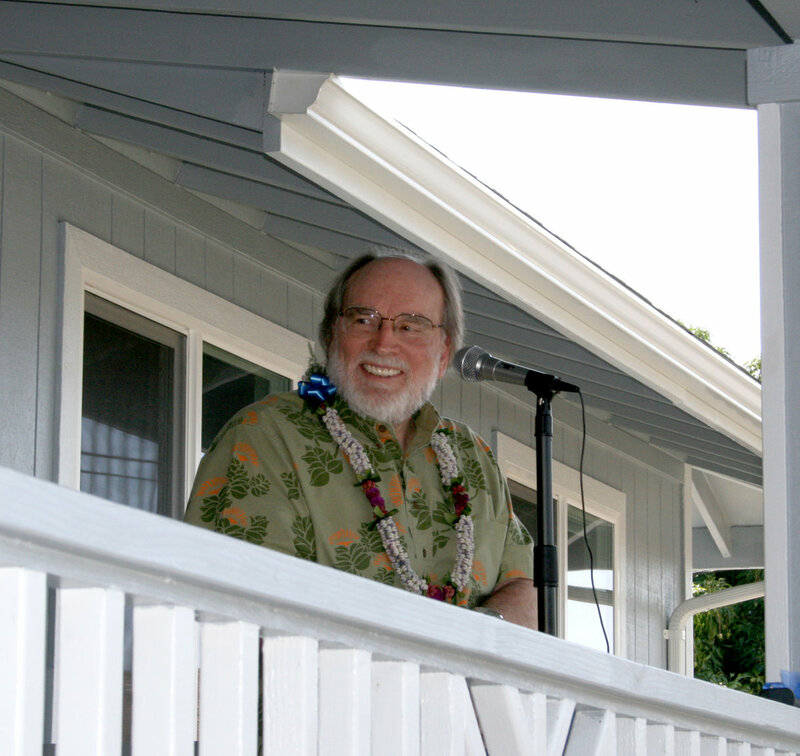 “Today is ultimately a true celebration of the vision of our Prince Kūhiō,” said Michelle Kaʻuhane, deputy director of the Department of Hawaiian Home Lands, at the dedication ceremony for the Naone-Bailey home in Papakōlea this weekend. 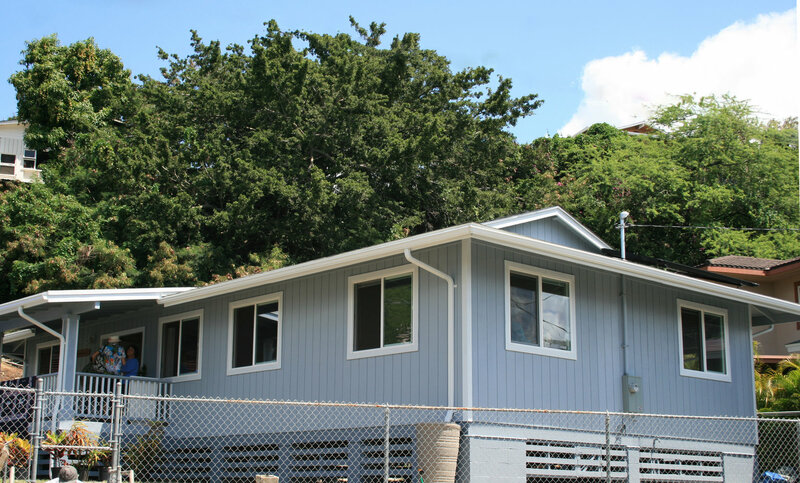 Frances Naone-Bailey inherited this homestead residential lot from her father, along with the original structure, which had become infested with termites and was falling apart. 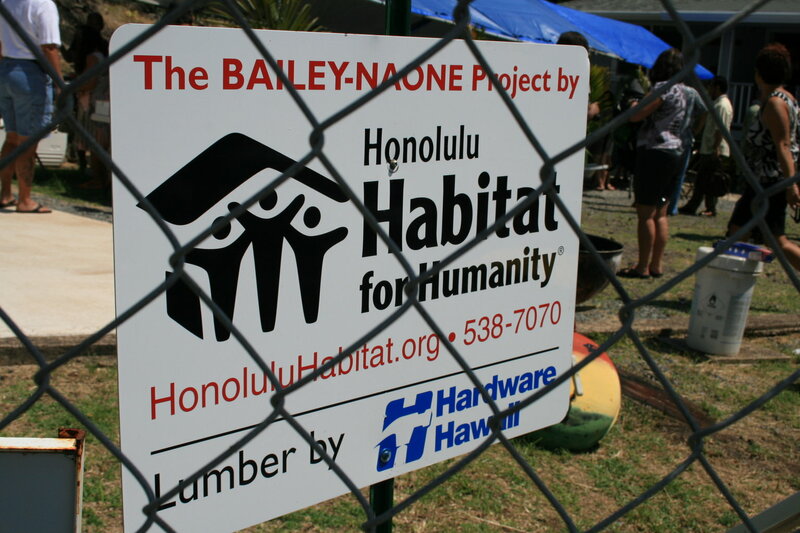 Frances and Wallace sought the help of Honolulu Habitat for Humanity in building a new, affordable home for the Naone-Baileys. 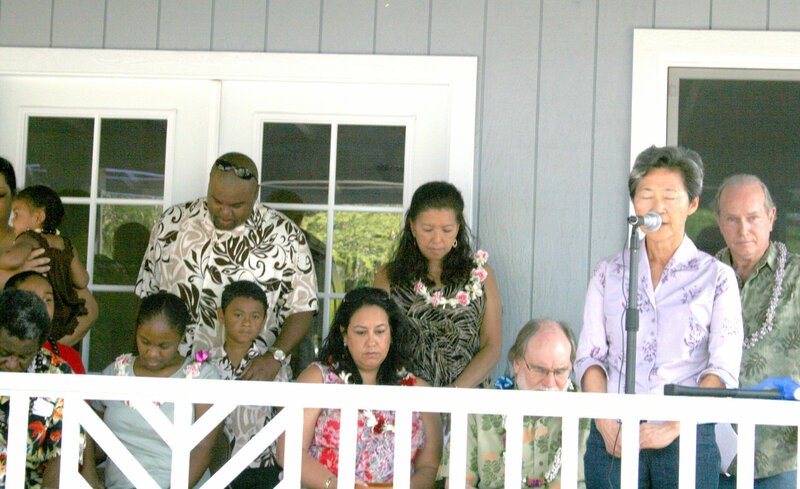 Habitat Executive Director Genie Brown secured a $25,000 donation from American Savings Bank, and over the course of several months numerous volunteers joined Wallace, Frances, their son Michael, daughter Jackie, and grandson Zackary, in building the four-bedroom, two-bathroom home off ʻAuwaiolimu Street. “The Bailey-Naone family thank you all very much,” said Wallace as he was handed the keys to his new home.